1855/63: 6 d. pale rose-lilac, a fine example with large margins all round, used on 1859 cover endorsed 'per RMS Norman' to Romsey, Hampshire tied by CGH obliterator in black with '5' rate credit in red manuscript below. 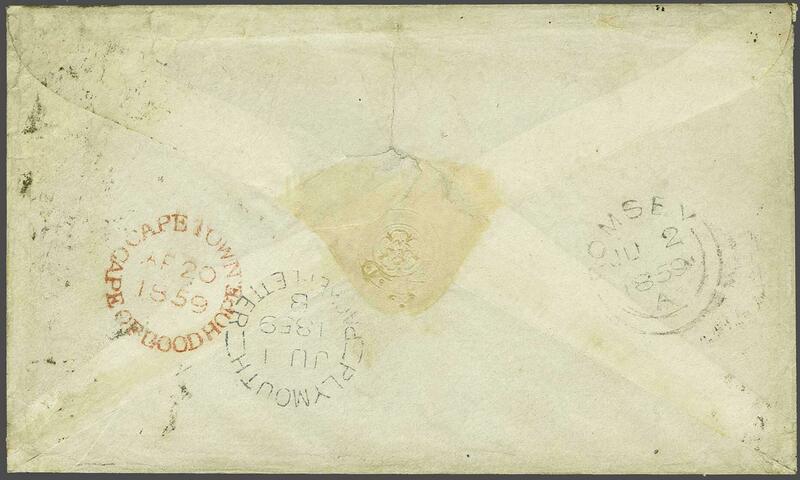 Reverse with CAPE TOWN / CAPE OF GOOD HOPE circular datestamp in red (April 20), fine PLYMOUTH / PACKET LETTER datestamp in blue-black (June 1) and Romsey arrival (June 2). 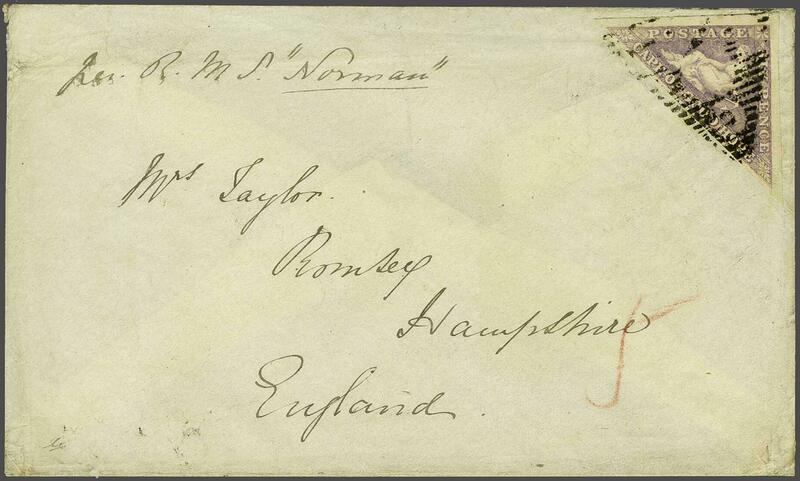 A fresh and fine cover.rnrnNote: This correspondence to Romsey was first offered in RL, Bournemouth, 7 July 1972.